Most people who wonder what’s the best way to improve their vehicle performance on a budget are oftentimes too concerned with what’s going on under the hood, instead of what’s going on under their vehicles. In other words, people focus too much on the engine and too little on their exhaust systems. As a matter of fact, stock exhaust systems are extremely restrictive, and they prevent your engine from performing optimally in favour of reduced overall vehicle cost. Stock exhaust systems are usually made using low-quality steel, which is why many people opt for aftermarket exhaust systems. Aftermarket exhaust systems use wider diameter pipes, and if you have a TD vehicle you can also implement exhaust dumps which are far less restrictive. This allows your engine and turbo to breathe more freely, and create less backpressure which impedes performance. Exhaust dumps are considered the biggest power mod you can install on a turbo diesel engine, as when the throttle shuts in a turbo engine, there’s a lot of high-pressure buildups as air is forced out of the turbo. Larger diameter pipes and dump pipes, in general, are the ideal solution for allowing more power and a faster spin on the turbo. Simply said, just assume the engine isn’t burning fuel and it’s not using any oxygen. This leads to the turbo being under constant pressure, and that can damage the turbo engine or the pipes. 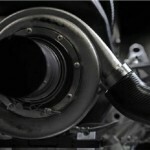 In fact, it can split the pipes apart as it tries to rush back through the turbo. This creates a compressor surge and a cluttering noise that can force the turbine to spin in the opposite direction and strain the bearings. Dump pipes are fittedonto the waste-gate just after the muffler, and they also impact how your vehicle sounds and performs when the turbo is running at full potential. 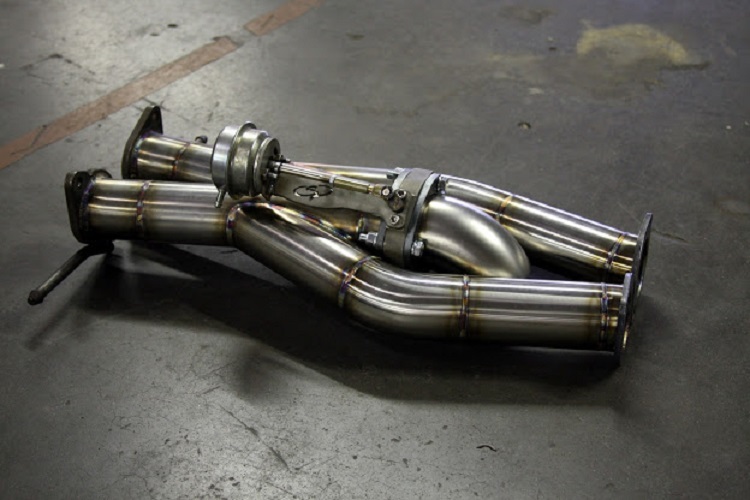 A quality dump pipe should be designed to reduce turbo lag and allow the turbo to spin longer. But before you consider aftermarket dump pipes or entire exhaust systems, you should consider discussing the issue with an experienced mechanic who will give you an unbiased opinion, because you might have to perform slight modifications to your vehicle when installing it. If he gives you the go-ahead, you can find a wide range of aftermarket exhaust systems online, some of which are specifically made for your vehicle, and universal ones that fit multiple models. Going with a model-specific aftermarket system is always the preferred option as it ensures the perfect fit.